Ho Chi Minh City pledges to create favourable conditions for the organisation of the 6th Japan-Vietnam Festival, contributing to strengthening bonds between the city and Japan, Standing Vice Chairman of the municipal People’s Committee Le Thanh Liem said. Hosting a reception on November 8 for Tsutomu Takebe, Special Advisor of the Japan-Vietnam Parliamentary Friendship Alliance, Liem underlined that the festival is among important cooperative activities between the two sides. He spoke highly of Tsutomu Takebe’s contributions to the Vietnam-Japan ties in general and Ho Chi Minh City-Japan relations in particular, especially in cultural, economic and environmental cooperative programmes. 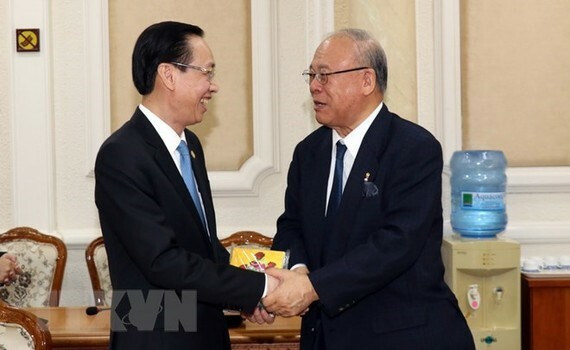 Liem expressed his hope that Tsutomu Takebe will continue his efforts to branch out Ho Chi Minh City-Japan collaborative activities, including the annual Japan-Vietnam festival. For his part, Tsutomu Takebe said both sides should enhance coordination to address emerging issues during preparation and organisation of the festival, thus ensuring its success. He informed the host that the event will take place at different venues in Ho Chi Minh City from January 18-20. It will feature a line-up of activities like tourism seminar, exhibitions, trade fairs, cultural exchange and art performances, among others. 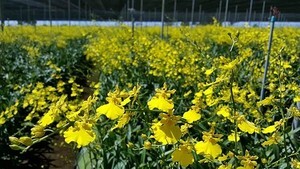 Orchid Festival is scheduled to take place for the first time at Tao Dan Cultural Park, District 1, Ho Chi Minh City from April 27 to May 1.